It’s time for another sketch at Freshly Made Sketches and this week our hostess is me! 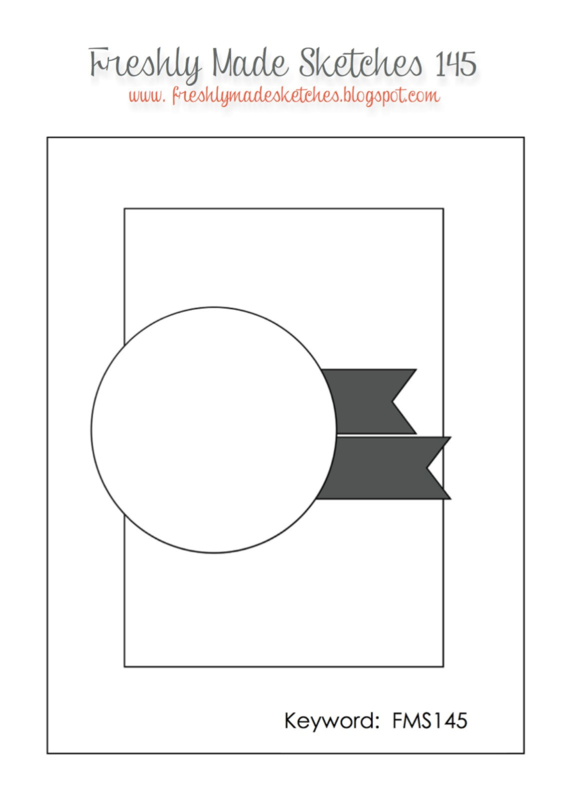 I finally mastered a sketch using MDS (with the help of Jennifer – thanks Jennifer!). I have tried to use it before but have always ended up chucking it in and ended up creating my sketch in Powerpoint instead. This time I persisted – yay for my persistence! As usual my card started off with one theme and totally ended up with another theme. I’ve had a few requests lately for masculine cards and I thought the sketch would work just as well for a man card as the feminine florally card I originally had in mind. The stamp sets I’ve used are Positively Chevron, The Open Seas, Gorgeous Grunge the sentiment is from Work of Art – I’m loving it at the moment. We’d love for you to join us this week. 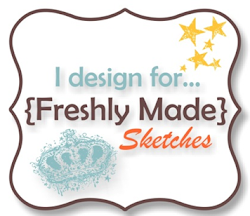 Head over to Freshly Made Sketches and check out the fabulous inspiration from the design team. Really pretty colours Narelle,looks great for a mans card or could be adapted for a lady!!! Another fabulous man card, Narelle! Love those colours you’ve used and thanks for such a great sketch. So Narelle, how do you get back back layer of your banners done so well? Do you just cut them 1/8″ larger than the top later and then use the top layer as a guide? I love the look but have struggled with getting both layers to look like they belong together. Thanks for any info; I always love the detail in your work. Love this! Wonderful nautical theme! Thanks for the super sketch! Yay you for mastering MDS!! And I love your masculine card. These colors are fantastic together! Fabulous card and sketch this week Narelle! So glad you and MDS got along! Love your card! I so love The Open Sea! As always I love the layers! Fun colours! Perfect card,Narelle!! Love the color combo,the splatters and the image!! LOVE it!!! Oh my gosh! What an incredible way to use the sketch! I love the chevron “water”, the aqua ship mounted on the globe, and all the wonderful details. Really awesome card, Narelle!